Every week I’m going to highlight my favorite posts from around the blogosphere, to keep you bellas up to date on what’s happening in hair, beauty, fashion and more! Happy Friday! I don’t write nearly enough about locs here on Afrobella, because I just don’t know enough! If you rock locs and would like to be a special loc correspondent, holla at a bella in the comments. I saw this inspiring post and these phenomenal photos over at The Fashion Bomb. Click for 6 Different Ways To Style Your Locs! Now go out and WORK em! I must’ve been living under the rock next to Curly Nikki’s – I never heard of the Tangle Teezer either! Click here to read her review. I think I need it in my life! If you want to know the best makeup on the market, as reviewed and determined by one of the most respected beauty bloggers – check out Temptalia’s 2011 Editor’s Choice Awards. She breaks it down, from Best New Product (that’d be Make Up For Ever’s Aqua Cream, seen here) to Best Budget Mascara (she chose my beloved Maybelline Full n Soft! I tell you, it NEVER fails!). Julia from All About The Pretty and I agree – Yes To Cucumbers Facial Towelettes are a travel must! 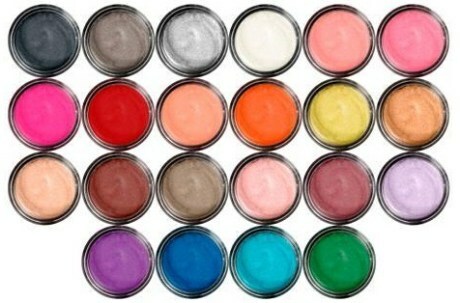 They’re cooling, soothing, and remove makeup really well. A great tip for those of you who are always on the go! 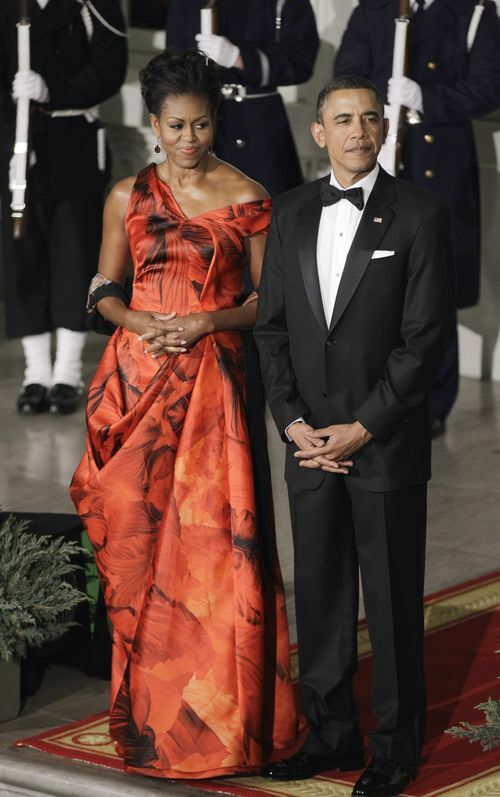 Michelle Obama looked AMAZING at the White House State Dinner, resplendent in a red Alexander McQueen gown. 55 Secret Street has the scoop. Speaking of things that are red and beyond fabulous, the hardworking ladies of The Red Pump Project have kicked off their 500 in 50 program for 2011. What’s that? Well the goal is to get 500 blogs in 50 days, to rock the Red Pump Project widget on their site and support the cause of HIV/AIDS awareness. Click here to join us! I had a down day recently and my friend Karel of Outlish Magazine cheered me up with a song that in no time at all, has become a personal anthem. This song, I’m Beautiful by up and coming artist Aloe Blacc. You may have seen him on Conan O’Brien last night, rockin out on I Need a Dollar. Aloe Blacc is an amazing singer – evocative of John Legend and Anthony Hamilton, and also a great rapper. I absolutely adore the message of I’m Beautiful. I hope it lifts your spirits and inspires you today! « Winter Skin For The Win! Michelle Obama does look great in that dress. She always looks great! Doesn’t she! The FLOTUS sets the bar so high, I love her! I said the same thing. She looked gorgeous in that gown. The red goes so great with her beautiful skin tone. I just bought a tangle teezer this week after reading about it on Curlynikki. I used it on a dry hair and re braided for a braid out. I have very thick hair and was considering using a warm comb on my ends only. I’m soo glad I got the tangle teezer first. This thing is amazing! My braid out came out wonderfully and with alot of body. This was the best $10 I’ve spent on a hair item in a long time. I’m gonna have to get one! AND it’s just $10?? WORD? I’m going to Sally’s this weekend! I rock locs hard! As a matter of fact I am on my second set of locs. I’ve often wished that you would spotlight locs more often but still your knowledge of natural hair is unsurpassed. And you betcha I would love the opportunity to be a loc correspondent! Thanks for the loc love. I’ve been rocking mine for 11 years. I’m new to blogging, and I love your work. My area is books, culture, beauty and yoga, mostly. Hope to hear from you soon, ttyl! Hi Bella – I’m a lifestyle blogger (leisure, travel, wine!) and I got Sisterlocks in October, 2010. I wrote about it on my blog http://waterwinetravel.com/2010/11/hair-story-sisterlocks/. Perhaps it may be of interest to your readers. Love your blog. Keep up the good work. Loving my locs!! I have had them for 3 years and they are awesome. Natural for 7 years, but wish I had locked up faster! my blog as of yet has nothing to do with my hair… it’s all about my angst! I will leave the hair up to those who know what they are talking about, which is not me! 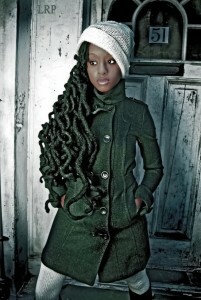 But on the upside, if you go to the blog and click on the profile, you can see a picture of said awesome locs! Thanks for this pist. It is giving me more blogs to read. Thanks. huge fan of your blog Bella, you are an inspiration. Thanks for introducing Aloe Blacc and giving me a 2011’s anthem. His song is beautiful and so is he. iLove! Hey There. I discovered your blog the use of msn. This is a very well written article. information. Thank you for the post. I will definitely return. love to find out more and more. Coach Holiday — A Girl Can Dream, Can’t She? New Hair Products You Need To Know About ASAP!